St. Marcellin Champagnat, a priest from France, founded the Congregation of the Marist Teaching Brothers in 1817. 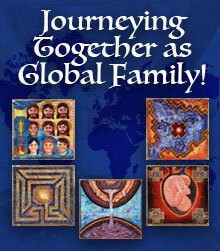 We are 3000 Brothers working in 80 countries on five continents. We directly share our mission and spirituality with more than 72,000 laypeople, and educate together around 654,000 children and young people. 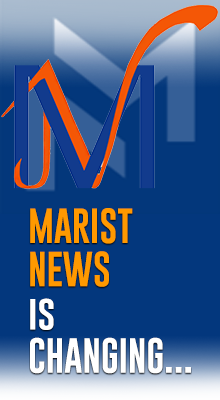 To become a Marist brother requires the following steps: discerning one’s vocation, applying for entrance into a formation community, and then living in a novitiate for a time that concludes with the profession of vows or formal promises. After that, the newly professed brother furthers his academic education to prepare for his mission and tasks in future years, beginning his dedicated life of educating children and young people in the most diverse situations, fully aware of the priceless value of this service. Marcellin Champagnat, aware of the needs of youth, and beleaguered by many requests from all over the map, used to plead, “We need brothers!”. Given the social and ecclesiastical context in today's world, Marcellin would surely repeat his wish, and add to it -”We need brothers and sisters, lay people, teachers, group leaders and aides... who want to live in fraternal solidarity”. This urgent message of Marcellin is summed up in the words of Jesus, “The harvest is abundant, but there aren't enough workers. Tell the Owner to send us more!”. Just as Mary did, Marcellin kept his eyes open. She picked up on the needs of her cousin Elizabeth, and noticed the embarrassed look in the eyes of the newlyweds at Cana. Today, all of us who want to follow Marcellin need to be alert to what's going on around us. When forlorn faces of hapless youngsters, or the crying needs of the poor and abandoned enter our concerned and sensitive vision, indifference is not an option. When a generous heart is involved, situations like that bring out the best in us. In the past, most of the time we set up schools, but today we're encountering new problems sitting on our doorstep: street children, drug addicts, people in absolute poverty... In order to address these urgent needs, we need more brothers and sisters, religious and lay people. Marcellin was an ardent spokesperson for the Kingdom. He understood that the plan of God expresses itself through mature men and women. He was a mystic in action. He was convinced that “to love God and to strive to make Him known and loved is what the life of a brother is all about." It's true that studies in education and psychology are indispensable in preparing to work with young people, but they're not the only answer. Marcellin communicated to the first brothers his ardor for the Kingdom of God. In the measure that they share in Marcellin's spirit, men and women teachers, group leaders, members of the Champagnat Movement, and others are committing themselves wholeheartedly for the coming of the Kingdom. These men and women are a gift for our Institute, the Church, and the entire world of today. It's all about living as Mary, our Good Mother, did. Marcellin's motto: “All to Jesus through Mary, all to Mary for Jesus”. Mary plays a vital role in Salvation History, but without putting herself in the limelight. As they say in the theater, “There are no insignificant roles, just small-minded actors”. Marist simplicity and common sense, nearness and availability are lived out on a daily basis. To join with Marcellin in imitating Mary means working without necessarily being a star, bringing the world to God, serving others, being friendly and warmhearted with those around us... People committed to Marcellin's way of doing things display the spirituality of Mary. Marcellin shattered the conventional wisdom of his day when he set about to establish the equality of opportunities for the poor among whom he lived. “I see the urgent need there is to create a society capable of providing children in remote villages with the same quality education that other Religious Orders are giving to children in big cities, but at a lower cost”. In the words of the last General Chapter, “We feel called to insist that solidarity is an essential element of our way of educating, and to place our works at the service of the poor. Today, more than ever before, the number of the poor and marginalized is increasing, people to whom no one is announcing the Good News. Out of faithfulness to Christ and Marcellin, we feel called to breathe new life into the Montagne experience, to educate in and for solidarity as a powerful means of working for evangelization”. Traditionally, particular charisms of founders have been seen as a gift for their own Religious Institute. Nowadays, with a broader vision, charisms are being viewed as gifts for the Church as a whole. 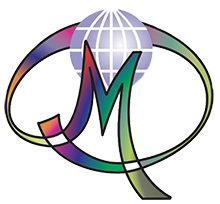 The spirituality and mission of Marcellin are no longer the exclusive property of the brothers; they are open to all men and women who want to incorporate Marist values in their lives, and to share in Marcellin's fundamental plan of action, each in his or her own unique way. It's true that the brothers have a special affection for Marcellin. More and more, however, they are sharing that mission and spirituality with student leaders, teachers, members of the Champagnat Movement of the Marist Family, and others who see in Marcellin's journey through life an invitation to draw up a similar roadmap for their own human and spiritual development. Marcellin left us an incredible inheritance. It's not enough to simply hang on to it. Using Marcellin's vision, our Institute needs to be revivified -founded anew- to provide answers for today's problems. In his Circular “Walk Peacefully, yet with a Sense of Urgency,” Br. Benito reminds us that refounding means “to effectively reorient the Institute in line with the intuitions and intentions of the Founder at the beginning of the Congregation”. Marcellin was profoundly convinced of the value of a brother's vocation. “How important your work is! How great!” he writes to Br. Bartholomew. At every stage of history, people must read the signs of the times to discover how to communicate God's love to the young, to free them from the problems that they grapple with in striving to reach their full potential. Today, given the world of children and young people as it is, to be a Marist -brother or lay person- and to commit one's entire life to this endeavor is not only possible but most worthwhile. More and more people are seeing things this way, putting Marcellin's intuitions into practice, and refounding the Marist Institute. Our Constitutions tell us, “We seek out young people wherever they may be, even at the risk of entering unexplored territory where their need for Christ is evident in their material and spiritual poverty” (Article 83). As Marcellin's followers, we need the courage to live in places where we've never gone before, where the light of the Gospel is having a difficult time in breaking through. Throughout the Institute many efforts are underway to get in touch with alienated young people and the vexing problems they are facing. New communities are springing up to respond to their urgent needs. Brothers and lay people are getting things done together. As brothers, we're very aware of our limitations: works not addressing the needs of the poor; a lack of new brothers in some areas; being unfamiliar with how to go about meeting troubled youth; the standoffishness of some communities, not knowing how to get along with Lay People; a lack of excitement about the Good News and the Kingdom of God; aversion to the call to build and live community in different ways. A reality check prods us to see that we're a long way from reaching our dreams. If we were to let such a check halt us in our tracks, however, discouragement would surely run rampant. Instead, let's put to ourselves the same question that Mary asked, “How can this all come about?” The Angel's answer still holds true today, “What men and women can't do, God can”. Let's not close our eyes to the challenge. Preserving the status quo would mean stifling our trust and confidence in the life-giving power and strength of the Lord. Our challenge and responsibility today is to make concrete efforts to go wherever the charism of Marcellin is leading us.